Also, the meme is wrong... 2293, not 2019. Fake news. Awww looks like I have a clothing return to make. 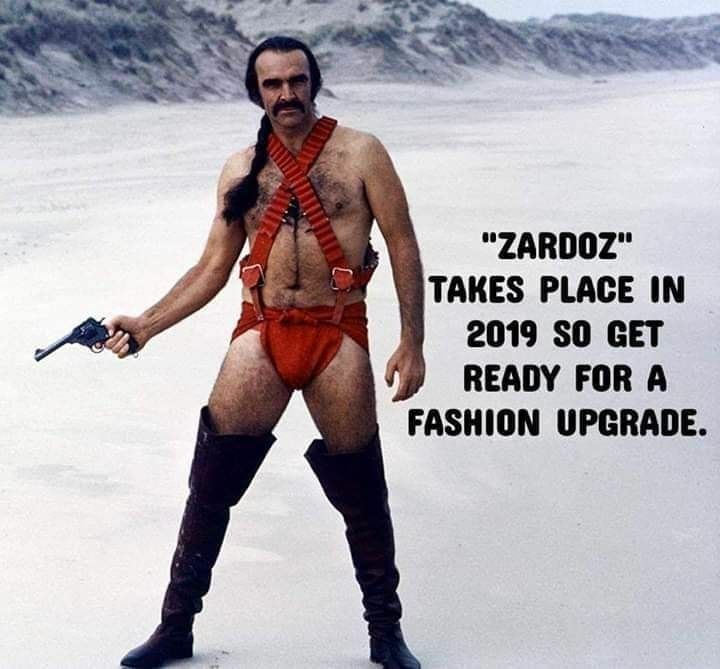 Has anyone actually watched The Complete Zardoz, ever? I still wish I could unsee the few, terrible scenes I witnessed on cable tv 30+ years ago. Ouch!!! My eyes are now bleeding. Thanks, I needed that. Not really. Last Years Resolution was "Buy Less, Paint More" - i painted New Years Eve and New Years Day and then one other time through the year... - FAIL! I think this New Years Resolution will be - "Have realistic expectations "
Happy New Year from Alaska. Here is wishing that for 2019 you all always have the perfect DF piece you need to finish your build.